Acne prone skin gets help from Clinique, Elizabeth Grant, Neutrogena and Sephora! 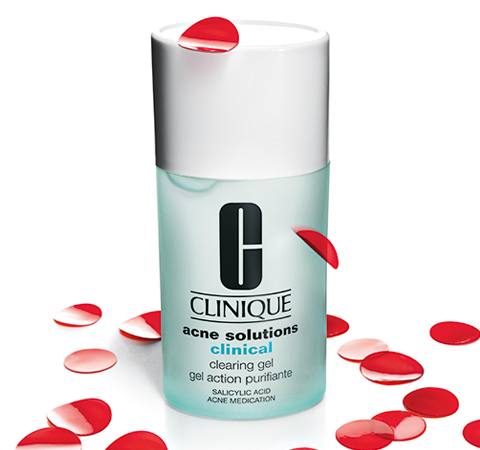 Clinique Acne Solutions Clinical Cleansing Gel - 30ml - $29 - a daily treatment gel that promises results as good as a leading topical prescription in clearing acne. Contains salicylic acid to start clearing blemishes instantly and help prevent new ones from forming and unlike some similar products, I don't find it to be drying to the surrounding skin. Neutrogena Clear Face Sunscreen Lotion - 88ml - $12.99 - an ultra-light, oil-free sunscreen that provides superior sun protection without clogging pores which can lead to future breakouts especially on acne-prone skin. With a fragrance and PABA free formula that is water and sweat resistant and contains natural botanical extracts as well as Helioplex Technology - that delivers superior stabilized broad-spectrum protection from the sun. Available in SPF 30 and 60. Sephora Charcoal Blotting Papers - 100 sheets - $12 - thin, double-sided sheets that banish shine without disturbing makeup. Contain bamboo charcoal which is highly porous and excellent for moisture and oil absorption - bamboo charcoal in particular is known for its antibacterial and antifungal properties. Simply blot the skin to leave it looking matte and feeling refreshed without leaving any residue.